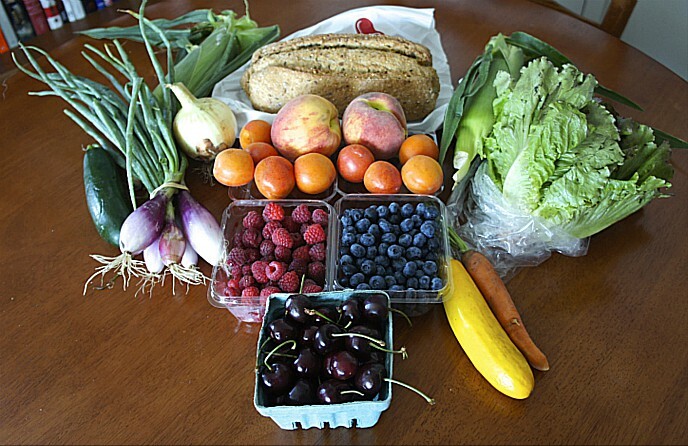 Consumer demand for healthier, more sustainable and more local dining options is rising fast. And this is reflected — as it has been for the past several years — in the National Restaurant Association‘s “What’s Hot” trend predictions for 2018. 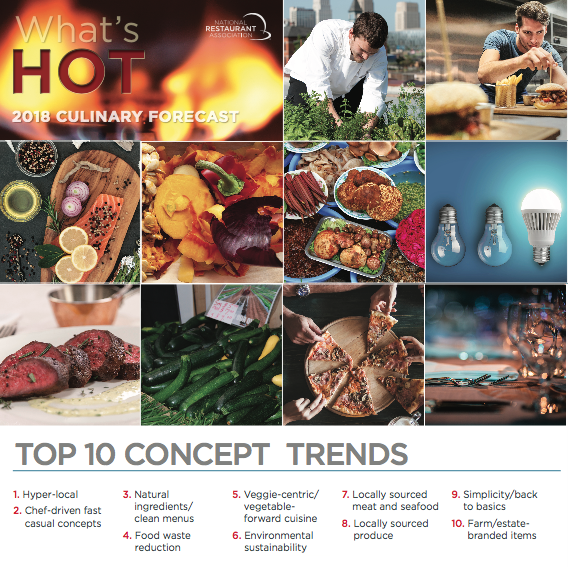 The results of an annual survey of nearly 700 chefs across the country, released in December, produced the following list of the 10 hottest restaurant concepts… nearly all of them closely tied to the goals of FamilyFarmed and other Good Food movement advocates. If you support the Good Food principles that dominate these lists, please dine at restaurants that go to the effort to source delicious ingredients produced as locally as possible using sustainable, humane and fair practices. 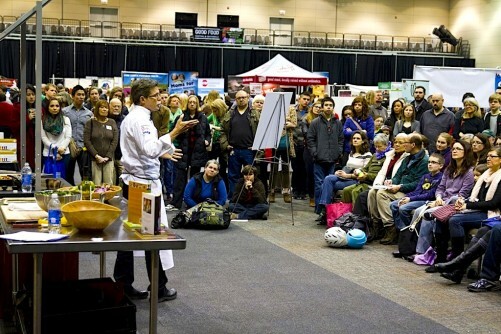 And to meet many of the Chicago region’s top Good Food chefs, producers and retailers, please save the dates of March 23-24 for FamilyFarmed’s 14th annual Good Food EXPO at the University of Illinois at Chicago’s UIC Forum! Admission is free to the Good Food Festival — our big public celebration of all things Good Food — on Saturday, March 24. This entry was posted in Chef advocacy, Good Food Dining, Good Food restaurant trends, Good Food trends, Restaurants and Good Food, Sustainable dining and tagged FamilyFarmed, Good Food Expo, Good Food Festival, National Restaurant Association, UIC Forum, University of Illinois at Chicago. Bookmark the permalink.